Contact us now and put our experience to work for you! P. & W. Barrett Lawyers, PLLC will provide you with experienced, aggressive, and effective defense for all criminal charges, both in Federal and State Court. To speak to us about your case please contact P. & W. Barrett Lawyers, PLLC now. The lawyer you choose to represent you is important. Put our criminal defense experience to work for you. 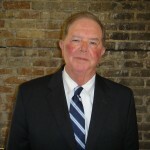 Peter Barrett has been in legal practice for over 40 years and has an unsurpassed knowledge of criminal law issues in federal court. Put us to work for you in any federal or state criminal case and we will be relentless in fighting for your rights. Contact us on the Gulf Coast at (228) 864-9885. Contact us in Jackson at (601) 973-2270. You can also contact us by email at info@pandwbarrettlawyers.com. We are relentless in our approach to defending you!